Consider the size and weight of what you’re hauling when shopping for an enclosed trailer. Start shopping from the inside out, starting with the trailer’s frame. Your trailer’s frame will support the weight of the trailer and its load. Trailers can be constructed of aluminum or steel; with I-beams, tubular, L-shaped, or C-channel beams. The strongest beams will be those with the most metal. Next, evaluate how the frame is configured, looking for cross beams that are positioned to support heavy loads — at 16 to 24-inch intervals or less — if your trailer will haul big loads. 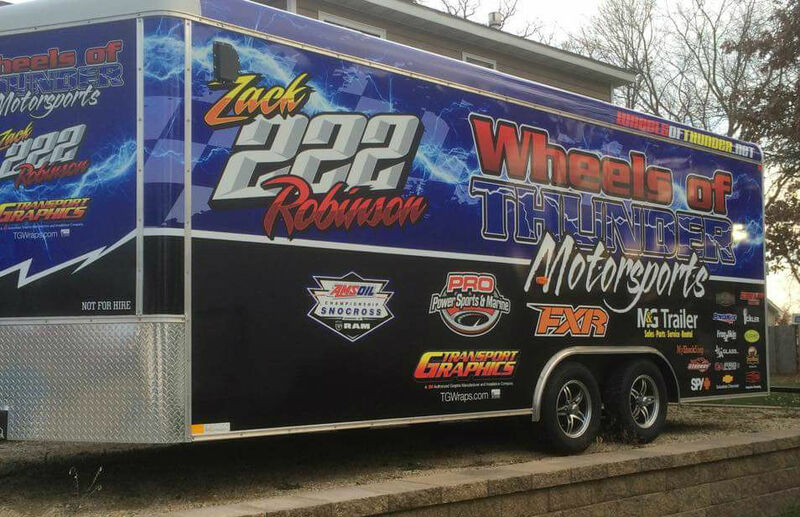 Enclosed Trailers: How Many Axles? A single axle trailer is sufficient for hauling smaller loads. A well-configured, single-axle trailer with springs is ideal for a small business, or for hauling smaller items. Most single axle trailers can be used without a heavy-duty towing vehicle, and smaller, simple trailers don’t require a huge investment. Plan on hauling loads or equipment weighing less than 3,000 pounds in a single-axle enclosed trailer. If you’re planning to haul heavier loads, consider a dual or multiple axle enclosed trailer. The axles are positioned to help disperse the weight of the cargo as well as provide shock absorption and maneuverability. Longer trailers, designed to carry even heavier loads, can be equipped with multiple axles. Look for a trailer with upgraded suspension and independent electric brakes when hauling heavy loads over long distances on a regular basis. Check with your state’s Department of Motor Vehicles to understand specific brake and equipment requirements for your trailer, but in general for hauling loads exceeding 3,000 pounds, trailer brakes are needed. Know your load when deciding what size enclosed trailer to buy. Determine how wide, how deep, and how much your load weighs before choosing an enclosed trailer. If a collectible car is your payload, you’ll need a trailer that’s at least 8 ½ feet wide and 16 feet deep, with double axles, while a farrier may find a 5-foot wide, single-axle enclosed trailer is right-sized for the tools of her trade. If keeping landscaping equipment out of the elements – and away from vandals and thieves – is motivation, look for a mid-sized trailer. Enclosed trailers are the ultimate blank canvas, ready to be customized to meet your specific needs. For those hauling vehicles – from snowmobiles, to mowers, to ATVs, to vintage cars – look for the positioning of tie-down rings and ask about the weight capacity of the rings to stabilize your load. Consider the style of gate that’s right for your enclosed trailer. While a small business owner working out of a trailer may find back double-doors the way to go, a vintage car enthusiast heading out to a string of shows, may need a fold-down ramp gate. Opt for air conditioning and secure shelving when your bakery business deliveries exceed the delivery capacity of the family van; or look for custom built hooks and hangers to keep lawn maintenance equipment secure between jobs. If your trailer is also your workspace, add lighting to the air-conditioning, and look for trailers that include flush-mounted sliding windows and a side entry. Quality enclosed trailer manufacturers such as H&G, Aluma, Sure-Trac, Royal Cargo, Triton, Haulmark, and others offer hundreds of options that can turn an enclosed trailer into a customized work space, business or even a vacation home. From medical trucks to mobile eateries to lake-front cottages, consider the possibilities when choosing an enclosed trailer. 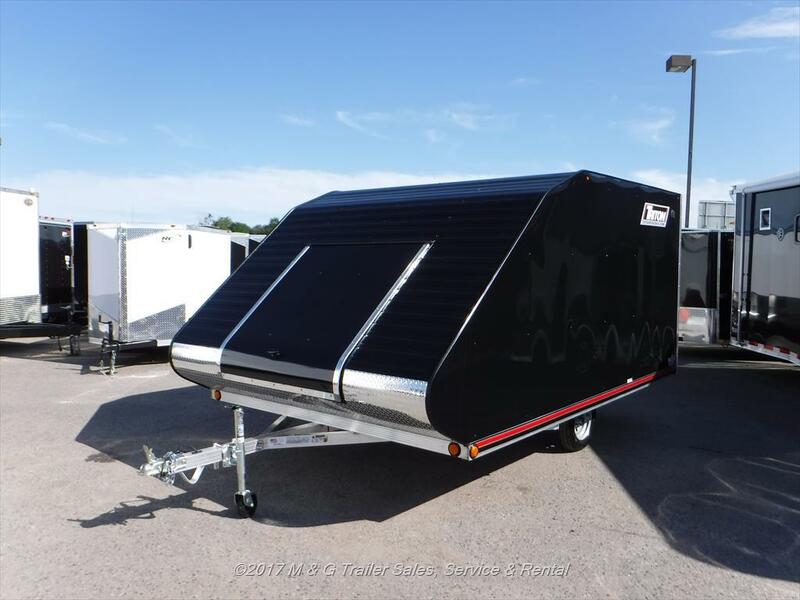 Begin the process of choosing an enclosed trailer for customization from the outside. Look for sidewalls that can be wrapped or painted to advertise your business – or customized to look like a cozy cabin. If your business is expanding, but not enough for brick and mortar construction, consider the possibilities of an enclosed trailer customized as concession truck – for hot or cold food service — or as a portable store. 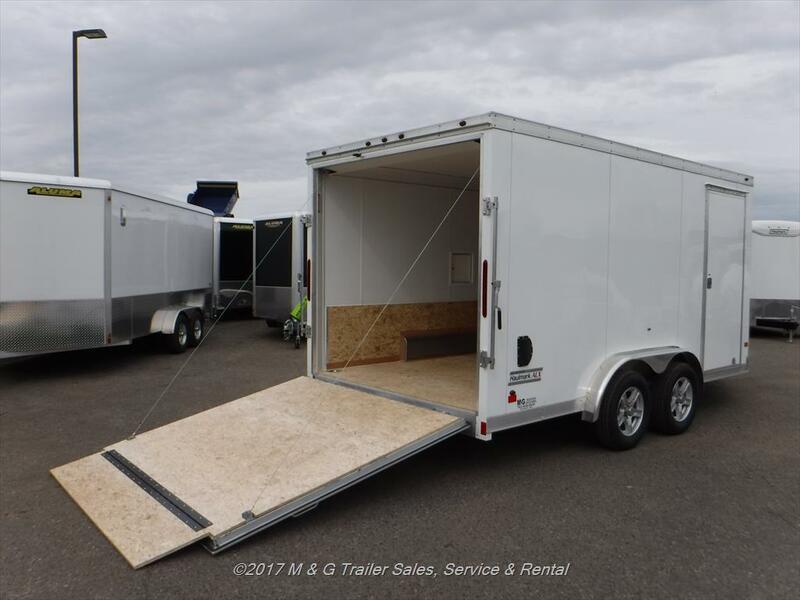 Look for trailers that are sized for your business, towable by your vehicle, and ready to be outfitted to meet your needs. When storage and comfort need to come together, consider outfitting an enclosed trailer for tailgating or quick getaways. 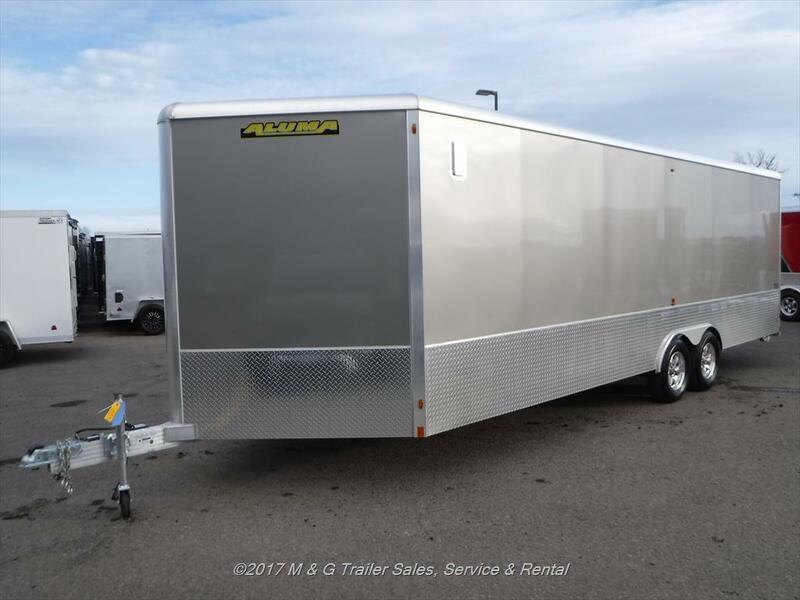 For a vast selection of new and used enclosed cargo trailers from top-of the line manufacturers visit M&G Trailer in Ramsey, Minn. 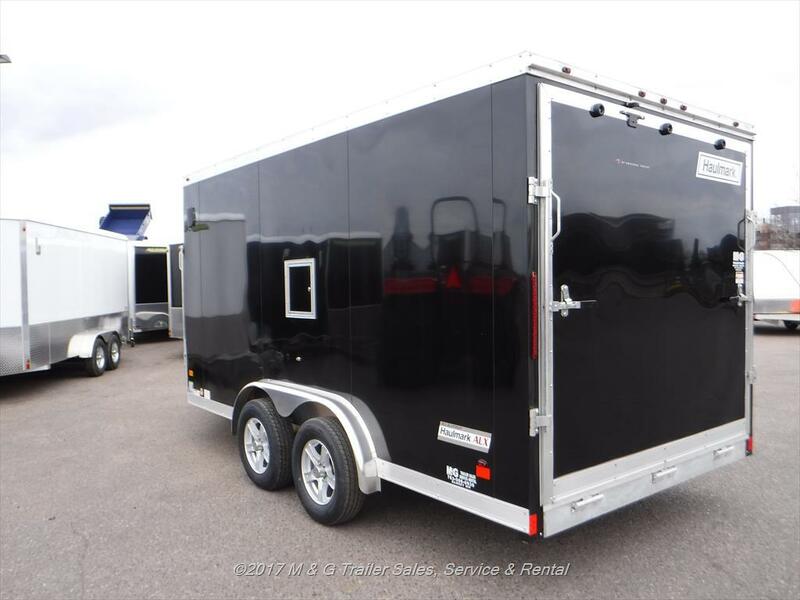 The experts at M&G Trailer can guide your through the process of choosing the right trailer, whether it’s for hauling a lawn mower, snowmobile or ATV; sheltering a precious collectible, or the start of a new mobile business.